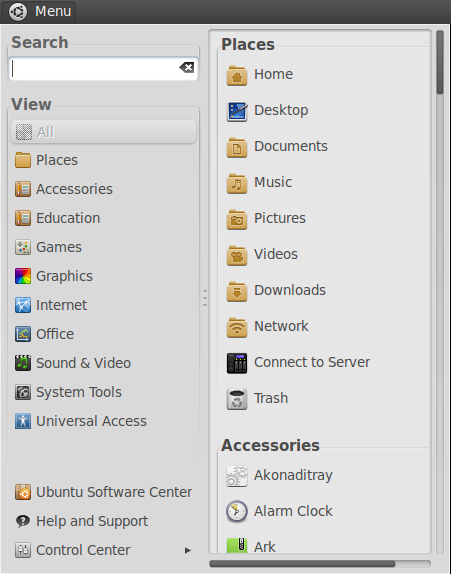 I didn't had any problem with the default menu application I have in my Ubuntu. That was until I tried other application menus available out there. 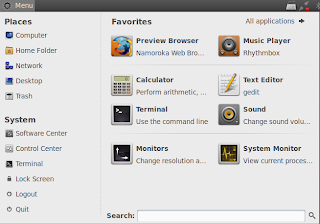 Here is a collection of 3 simple application menu alternatives you should give a try in your Ubuntu. 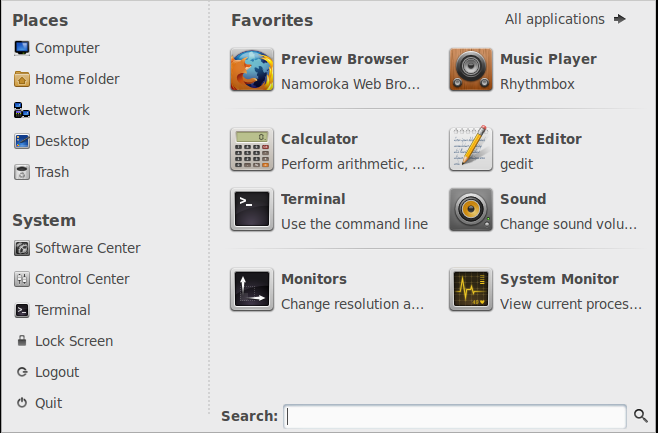 GnoMenu is a nice and simple alternative menu application you could use in your Ubuntu. And it looks pretty too. GnoMenu's XML theme engine supports a wide variety of themes, even those with transparency effects. To install GnoMenu in Ubuntu, do the following in Terminal. Done. Now Right click on the desktop panel(above or below) and select Add to Panel. Lastly, select GnoMenu from the list and click ADD. 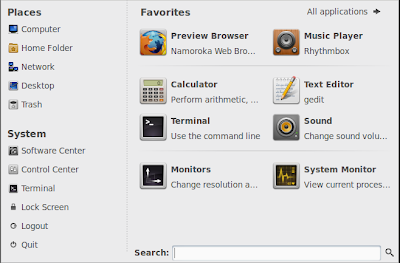 Cardapio is a lightweight application menu and launcher for Gnome. 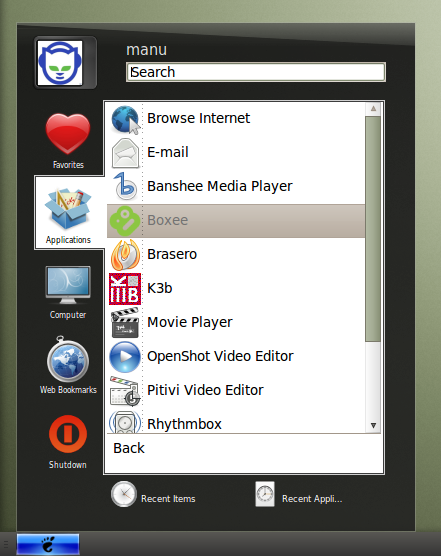 Cardapio can work in two modes: as a panel applet (in which case it is an alternative to Gnome's application menu applet) or as a stand-alone launcher, like Synapse and Kupfer. Install Cardapio in Ubuntu by doing the following in Terminal. Done. Now to add Cardapio to your panels, do as before. Right click on the desktop panel and select Add to Panel. Lastly, select GnoMenu from the list and click ADD. Most of you must be familiar with the default menu application that comes with Linux Mint. Linux Mint main menu is by far the most easy to use and good looking application menu I have seen in any GNOME desktop. Simply do the following in Terminal to install Linux Mint main menu in your Ubuntu desktop. Thanks to webupd8 for the ppa. Done. Again, to enable Linux Mint main menu, use the 'add to panel' option as before. 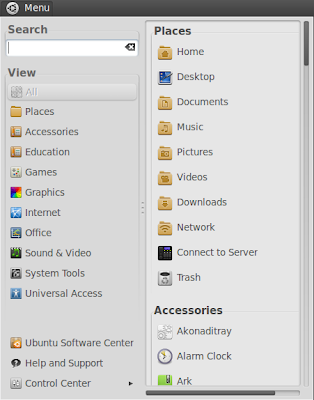 The default application menu in Ubuntu lacks a lot of the functionalities and features readily available in the applications menus we featured above. 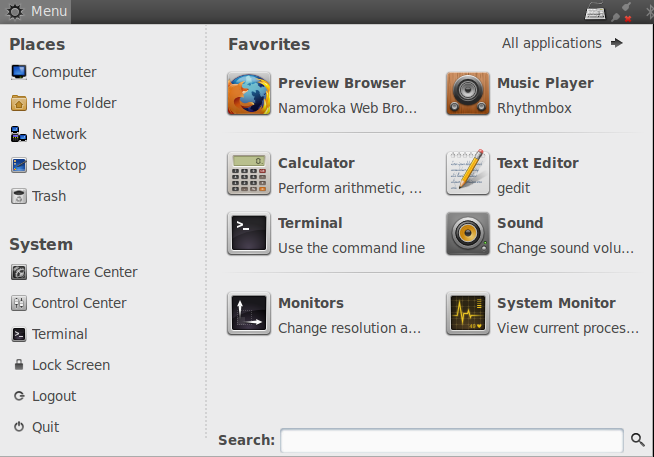 But since Ubuntu is moving to Unity, application menu improvements won't be a priority anymore I think.